Opal Cove Resort is a proud supporter of The Cheesemaking Workshop, who have recently opened in a new location at The Big Banana! 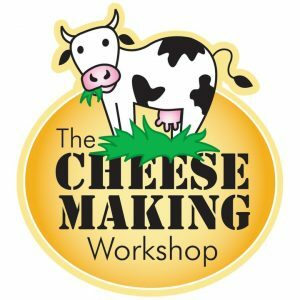 Discover the Cheesemaking Workshop in Coffs Harbour on your next visit to the beautiful Coffs Coast! This is a snippit from the blog on The Cheesemaking Workshop website. It has been a real treat for me to be able to have mum’s and dad’s with their children participate in our short 1 hour workshops that we have introduced. Showing families how easy cheese is to make, to encourage them to think about food, where it comes from and the fact that is does not have to come package from the supermarket. Our new deli has also swollen from approx 50 varieties of cheese to over 100 varieties offering the best of the best, we are saucing raw milk cheeses, goats cheese, sheep cheese and one cheese even containing donkey milk there are blends of milk cow and sheep, cow and goat etc. We have a huge selection of white moulded cheese that are creamy and delicious. So many hard and semi hard cheeses and the blue cheese section is amazing. But when asked what blue in my fridge at home? my home made bucca blue, I love the deli, but I love my home made cheese.Thank you again for all your support, Lyndall. Sign up to receive our monthly newsletter containing exclusive special offers and upcoming community events at Opal Cove Resort.